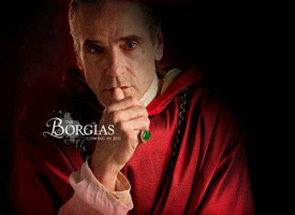 The Borgias Seasons 1-2:Based on the Borgia family, the historical fiction cinematic television series The Borgias has been finished the second season. If you are the fans of the show, this complete seasons 1-2 The Borgias DVD with 10 discs is the one that you cannot miss. The series follows the rise of the Borgia family to the pinnacle of the Roman Catholic Church and their struggles to maintain their grip on power. The Borgias seasons 1-2 DVD box set is hot on sale in discount DVD shop now!